For the first foray into creating a DotNetNuke module for Webmonton Media, we were tasked with converting a multipage, very extensive spreadsheet created in Microsoft Excel by C2 Online to a functional website. The purpose of the module is to provide an online software tool for a bookkeeper to ensure accurate, professional quotes, based on proven bookkeeping standards that will help them earn more money. 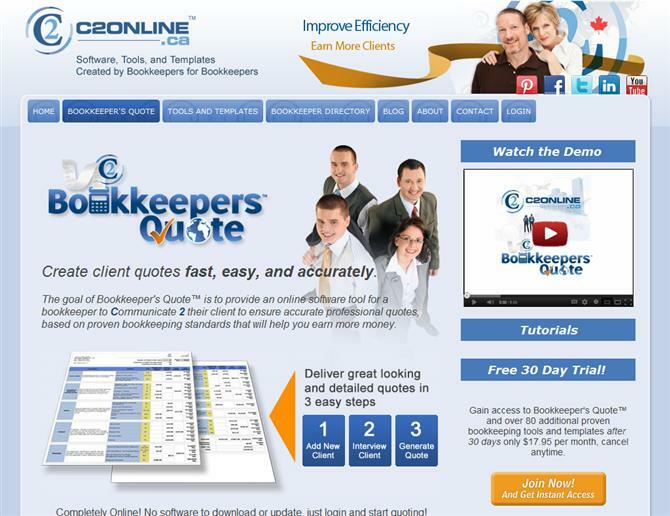 Basically, the software is set out to allow bookkeepers to quote their clients very accurately ahead of doing their client's work. There are a myriad of options for the power user to alter if they desire, to fully change the way the quoting software works. Alternatively, the options all have presets which are set to recommended values. Take a look at the sales site listed below for a preview of what bookkeeper members get after subscribing.